Gravel isn’t just for driveways. 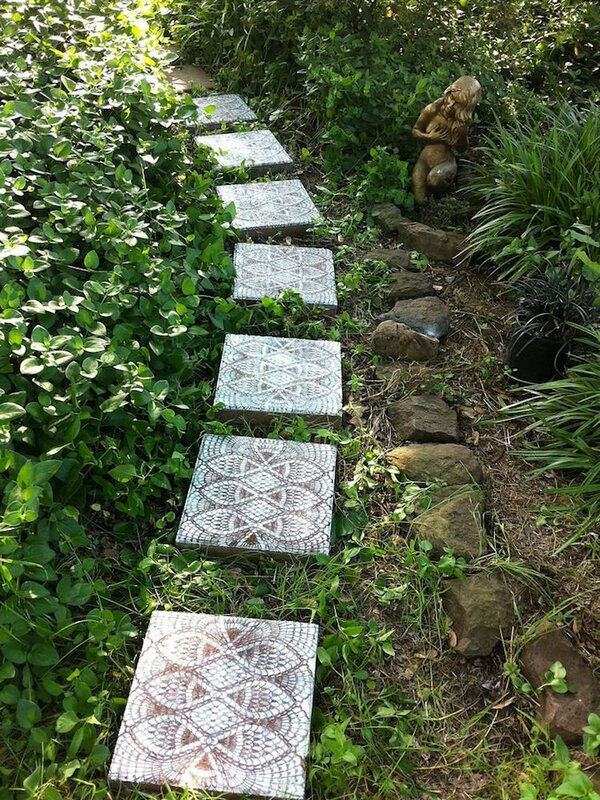 On the contrary, it’s the basis for many walkway ideas popular among DIYers for their low cost and welcoming, informal look. 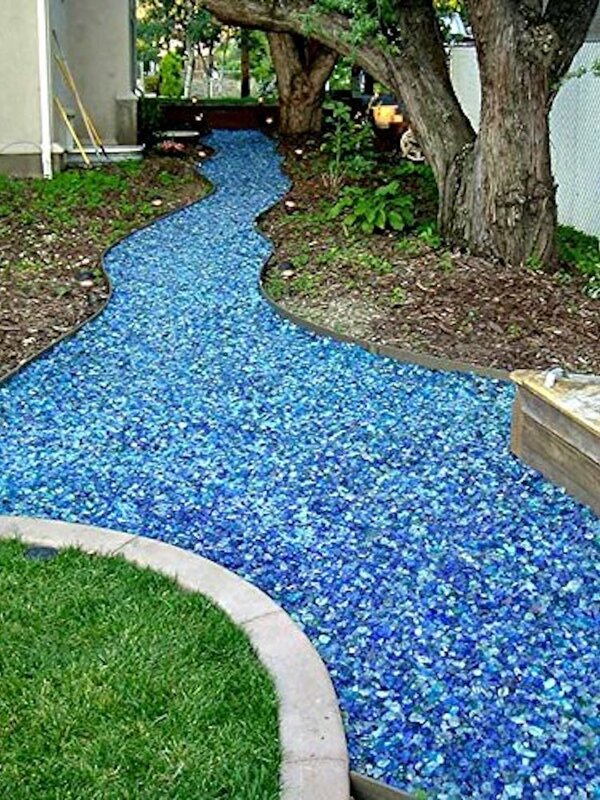 Extremely versatile, gravel comes in myriad colors and sizes. 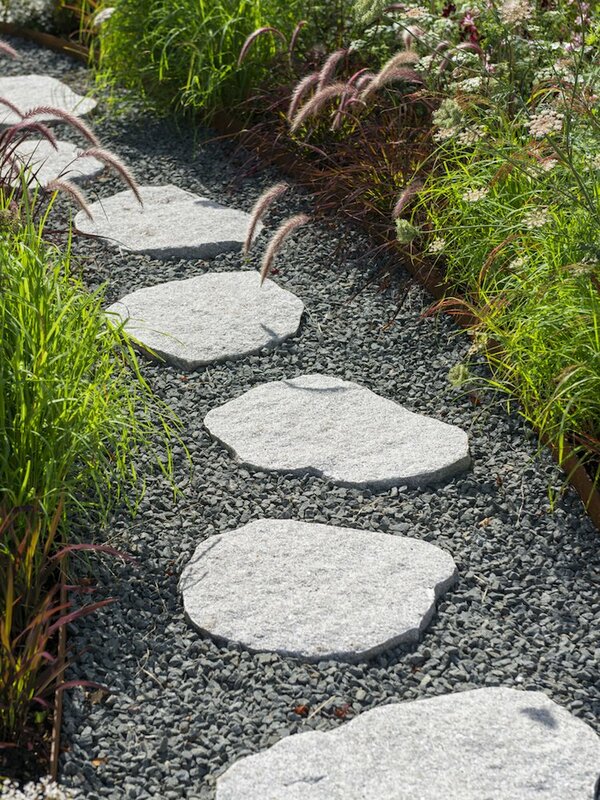 Here, larger circular stones strike an elegant contrast with the dark gray gravel stones. Concrete has so much more to offer now than it did in the past. 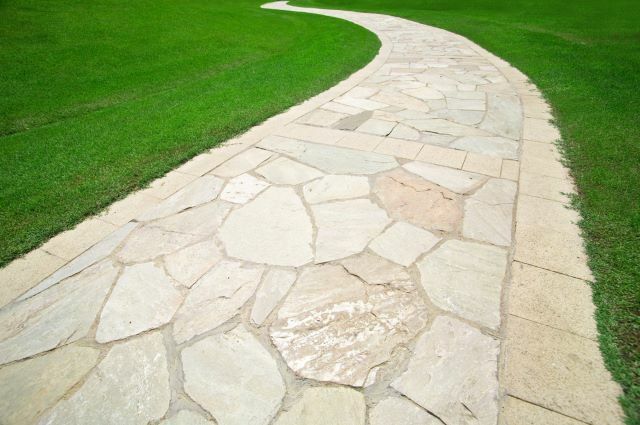 These days, it can be colored and textured to look like many other types of stone or paving materials. Need proof? 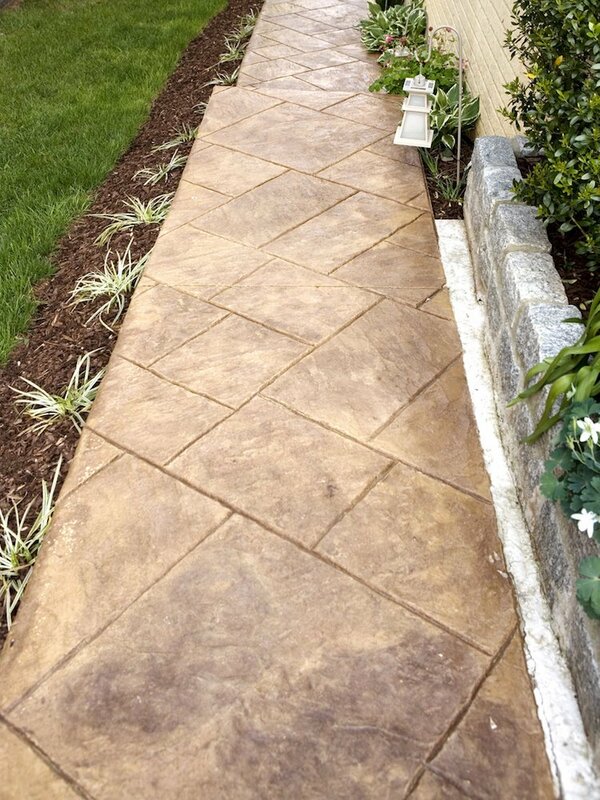 This stamped concrete design boasts an undeniable warmth that traditional floated concrete simply can’t match. 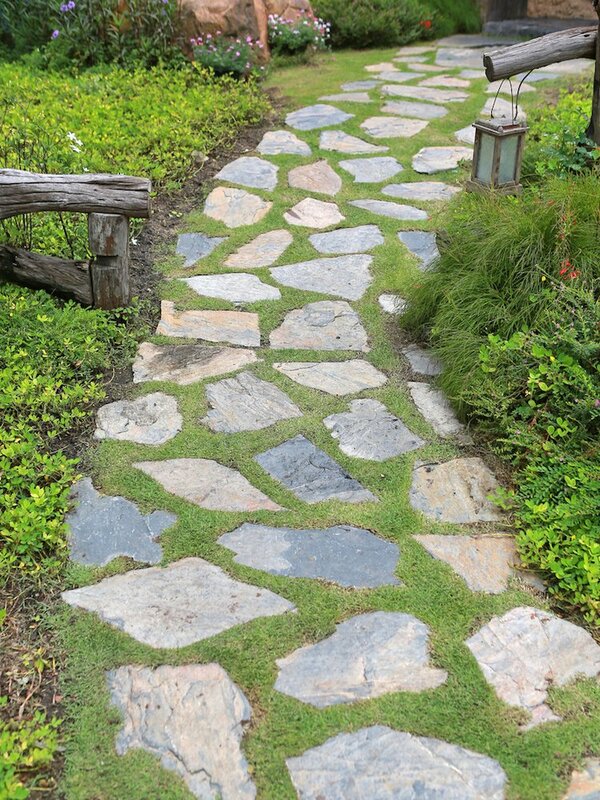 Of all walkway ideas, the traditional bluestone path stands out for its timeless appearance and appeal. Many pattern and color choices exist (in fact, some bluestone isn’t even blue). 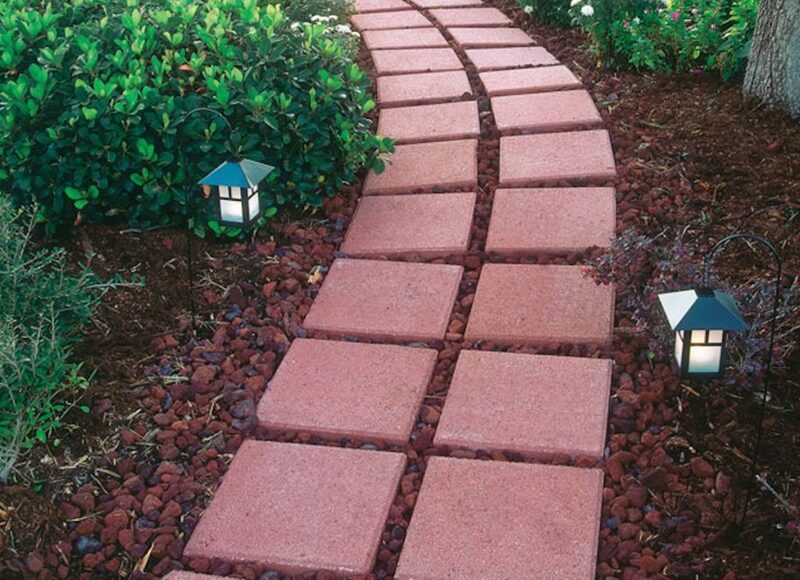 Stock pavers are inexpensive and readily available at most hardware and home supply stores. But they’re not exactly exciting. Surround them in a cut-out bed with lava rocks though, and they really make a statement. The warm reds add depth and color to your home’s exterior. Nice work! 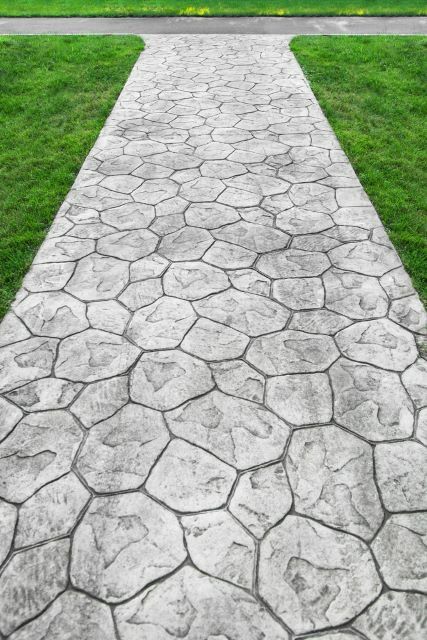 When working with concrete pavers, placing them in a less than perfect alignment brings further interest to your walking path. 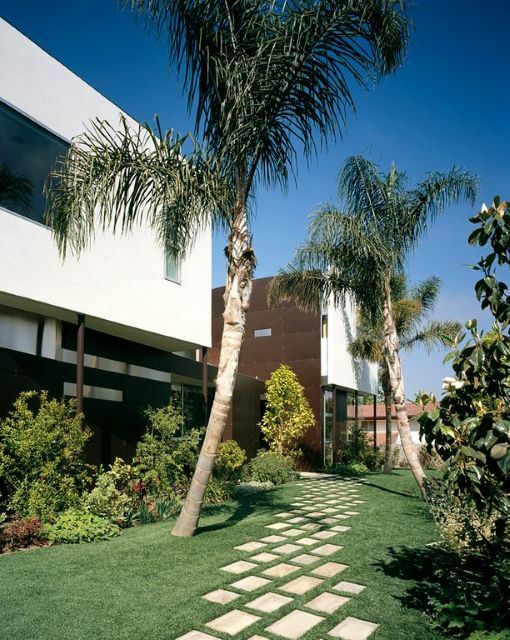 These light pavers are even spaced to allow a uniform slate rock to be patterned in between that mimic the surrounding landscape colors and patterns. 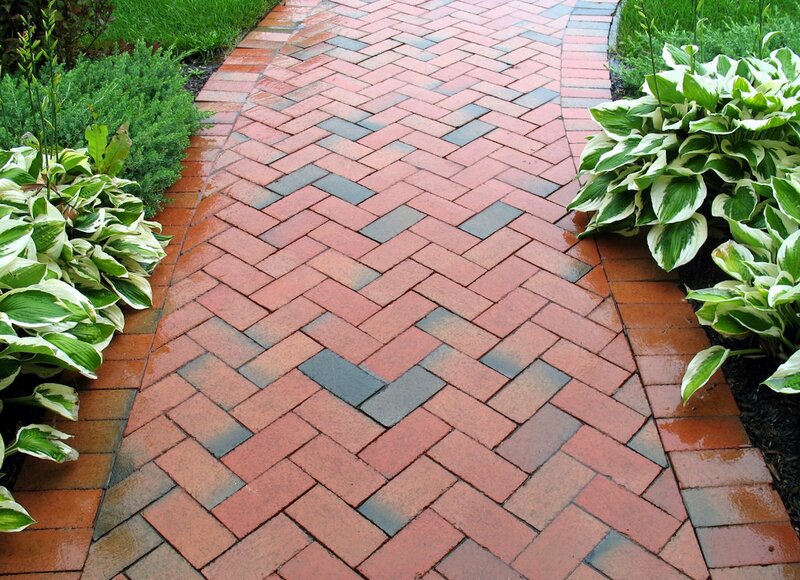 Although these look much like a brick walkway, concrete can be stained and etched to mimic for favorite materials. This is a great way to keep your weeding to a minimum as you won’t have any little seeds making their way in between these bricks over time. Professional companies often have a variety of colors and designs for you to choose from if you decide to take the etching route. 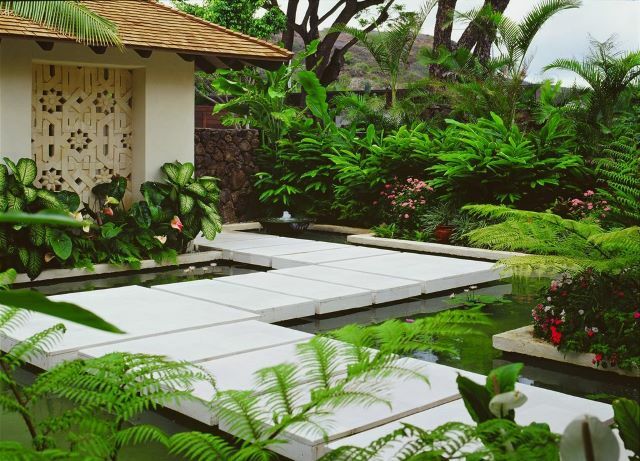 Solid pond foundations provide perfect garden borders, as well as a place to create a unique walkway. 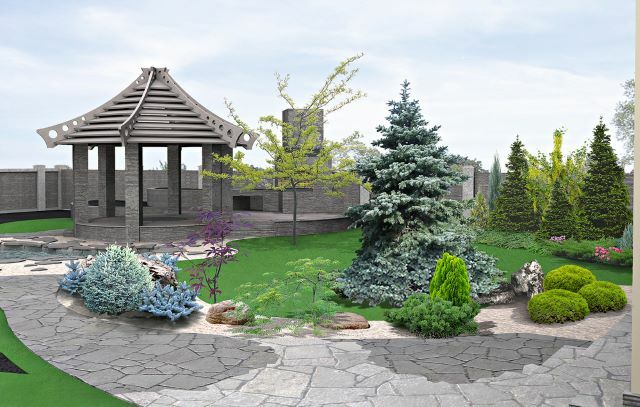 This is definitely a design that requires quite a bit of advanced planning to make sure the pond is well sealed, and the walkway base is sturdy and in place before filling the pond. But the effect is stunning. 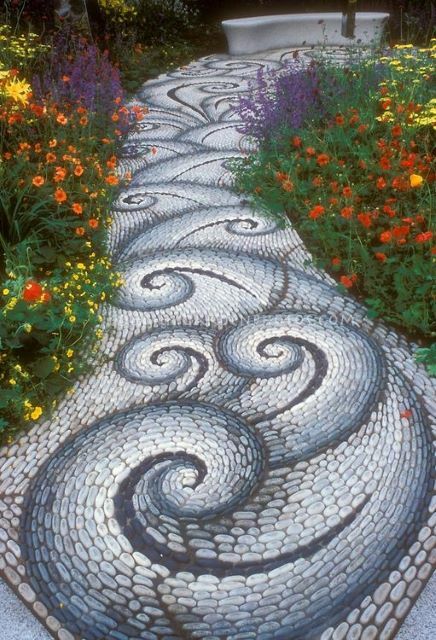 Etchings really can take on just about any idea you can think of, like this colorful stone walkway that is actually a well designed solid path. Concrete often provides a much less expensive option, not to mention the time you save in actually making it. Finding the stone, laying out the design, and grouting the spaces takes time and money. Leveling the walkway and pouring concrete before applying the design can often be more feasible. Concrete border pavers don’t have to be used for flower bed boundaries. Get creative with their often fun, and curvy shapes and make them your own. These arching borders have been put to use as a walkway, complete with traffic friendly vegetation. 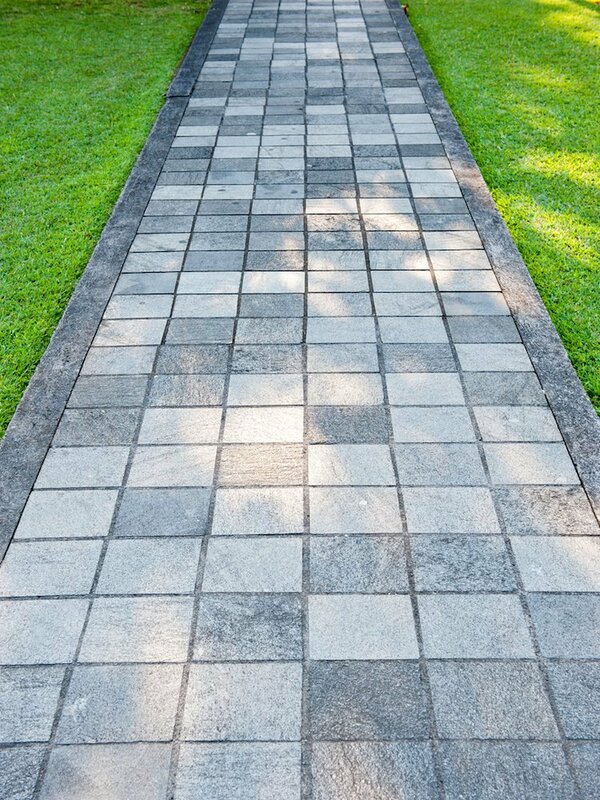 Make your walkway look bigger than what it really is using pea gravel or river rock in conjunction with concrete pavers. Choose from a variety of colors to provide contrast and interest like these rust colored steps next to mixed lights of the rock. You can also match them to your garden border material to help complete the overall look. Placing stone so it all fits together well is already a challenge, but doing so within consistently set boundaries is even more so. 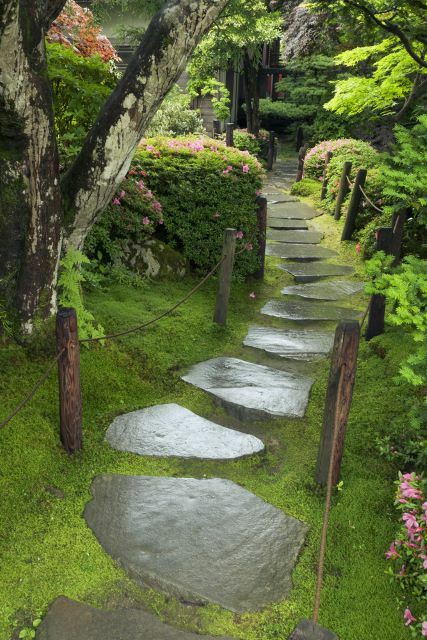 The effect is stunning, however, such in these well-bordered flagstone paths that lay out perfectly rectangular cut stones intermixed with the natural shapes of well-placed stones. 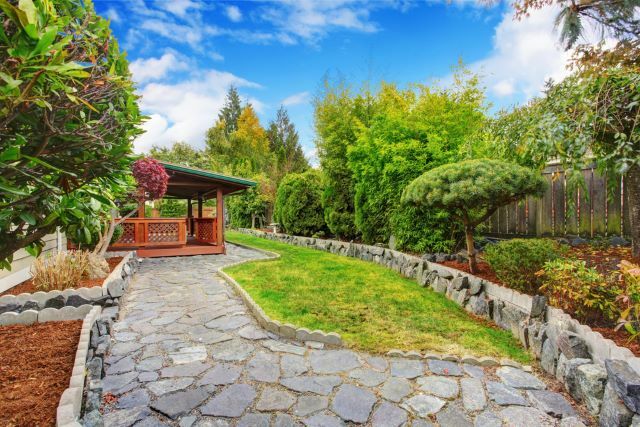 Color matching across garden walls, gazebo construction, and walkways allows the simple landscaping to take a front row seat to aesthetic appeal. Laying out flagstone is like putting together a jigsaw puzzle, and these well placed pieces provide a smooth path through the well kept surrounding gardens. Take a walk on the wild side and instead of placing straight lines in perpendicular placements, put them at angles to one another. 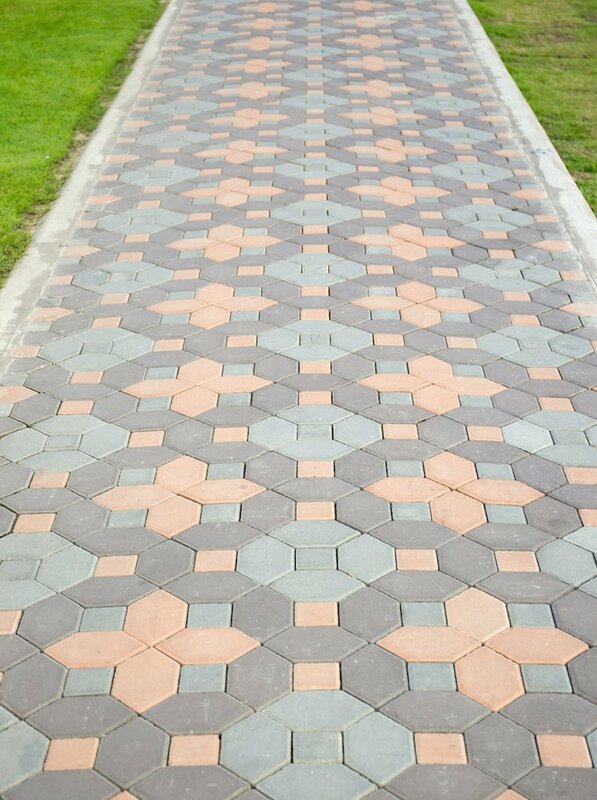 This is an unexpected look and provides more than just a walkway, but also a new visual focal point along your home and garden walls. 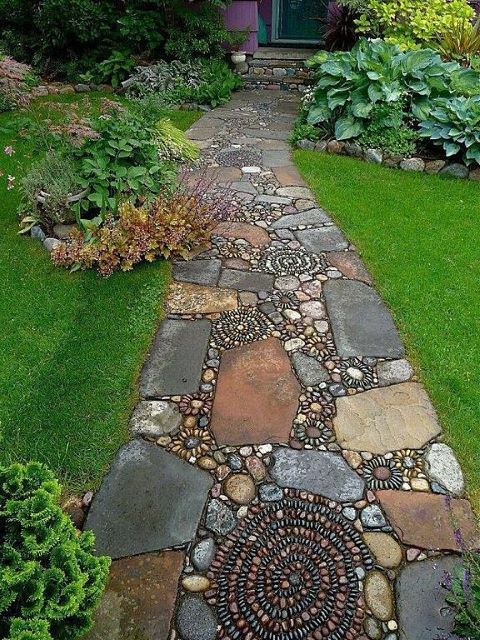 Mix and match stones and pavers to not only create an eclectic walkway, but a piece of art to compliment your landscaping. These swirls and color combinations are filled in with rocks of varying shapes and sizes to help provide a focal point. Fun to make and even more, fun to look at! 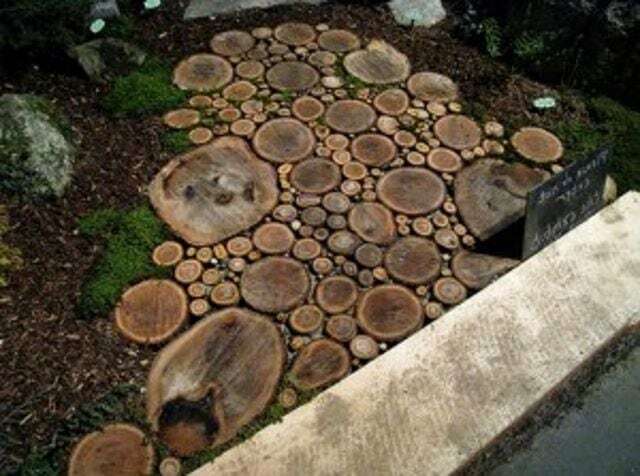 Cookies, or the thin slices of wood taken as a cross cut of a tree trunk, add varied interest to many different projects you may have in mind around your yard. 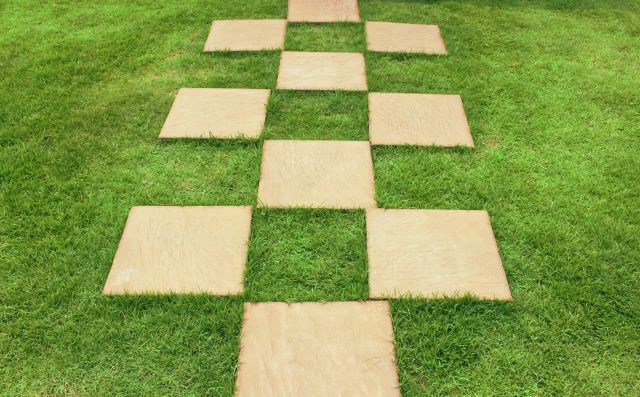 These particular cuts are being used as a walkway and provide an entirely new dimension to your garden space. 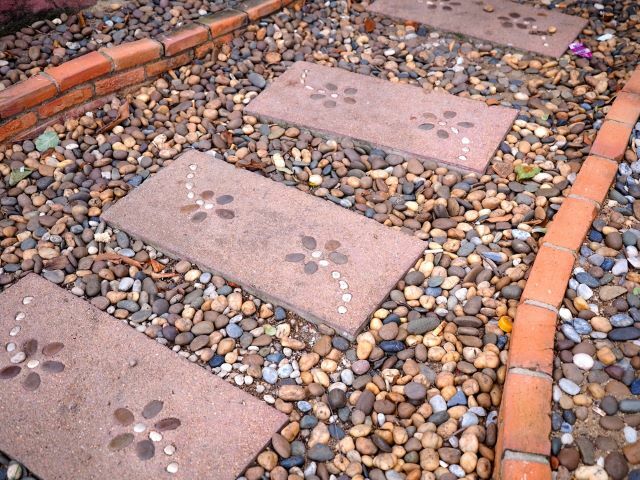 Pea gravel is often difficult to walk through and also can get a bit boring when used in large amounts. 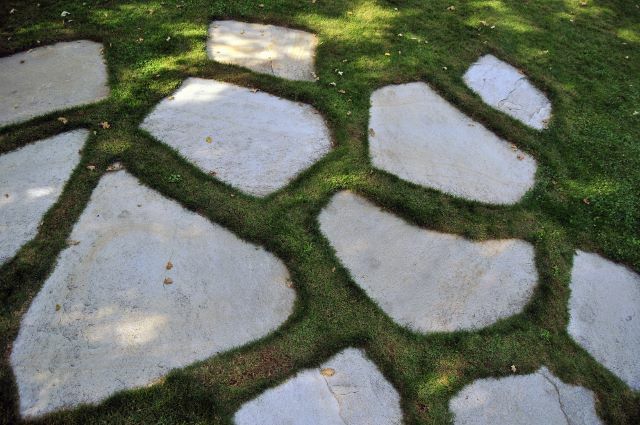 Break up the monotony, and provide an easier stroll through the yard with some well-placed stones. There is no need to fit them together as the pea gravel will easily fill in those gaps, as well as provide contrasting differences. 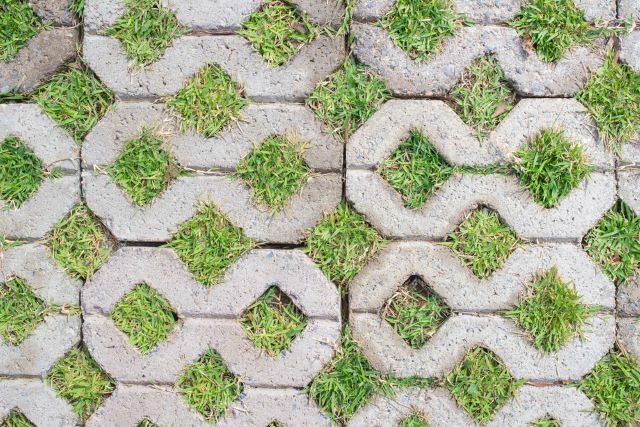 These stone pavers are placed in a patterned design within the lawn itself to provide a lattice effect. Although it does provide a rudimentary walkway, it serves as more of a part of the landscape itself and mimics the architectural materials used in the surrounding buildings. 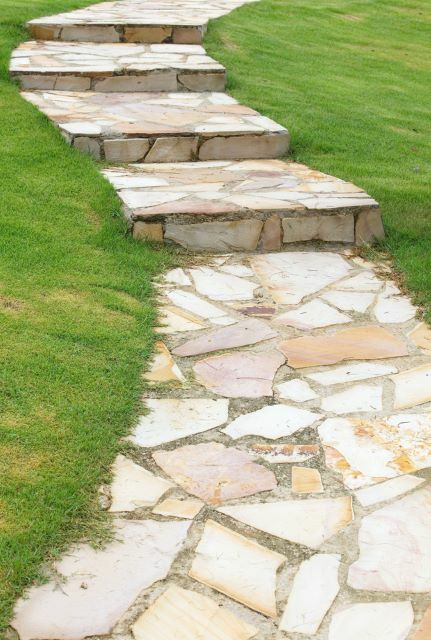 Instead of a traditional stairway, place some oversized stones within a gently sloping hill to provide a way down, and up. 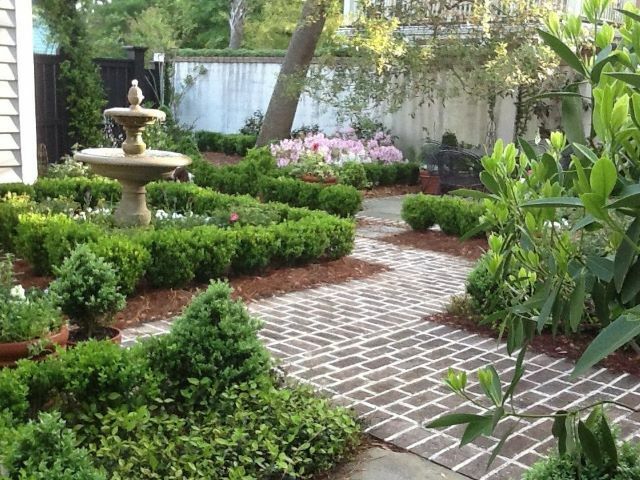 This natural look doesn’t take away from the well-manicured flowering shrubs, and also happens to give contrast to the soft ground moss used in lieu of grass. 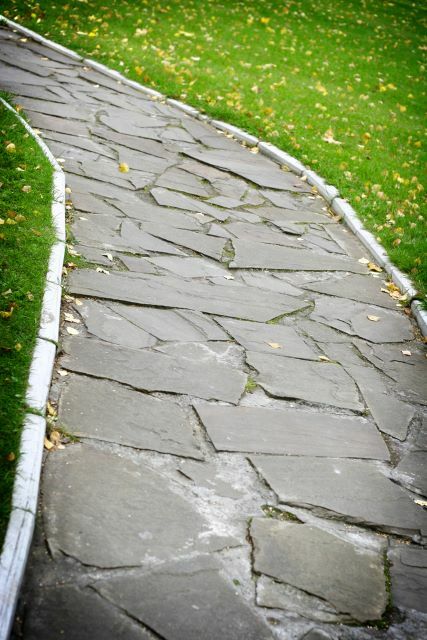 Stone details are often used along meandering paths, but not often seen when a slope is involved. But stone can provide the perfect detail to a well shaped and planned out hillside staircase as seen in this case that incorporates long, shallow steps to guide your way. 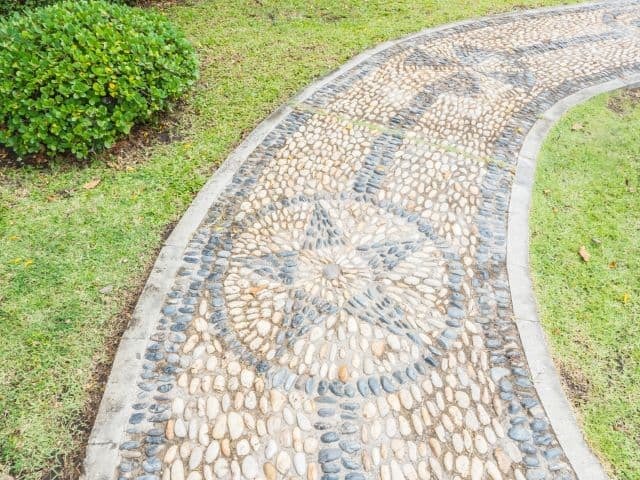 This gravel walkway leads the way with unique, and well-planned works of art throughout the garden that incorporates the walkway material into their design. 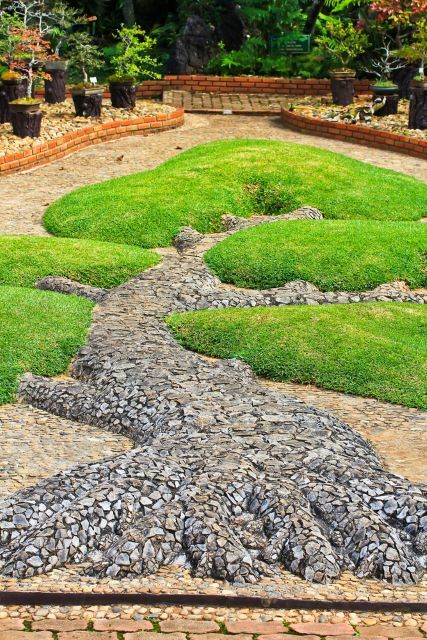 This particular tree uses soft grasses and varied color rocks to define and lift it from the surrounding walkway. Surprise your company with similar pieces of art! Children’s hopscotch boards alternate a one and two box design for hours of play. 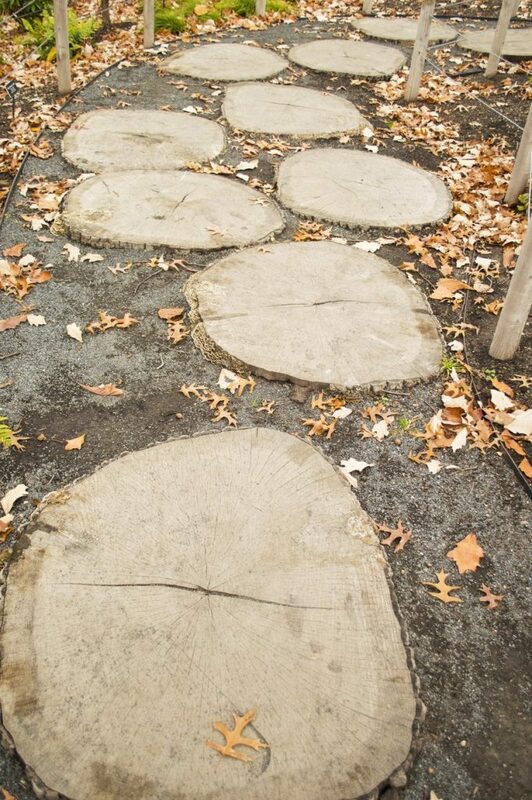 Using the same pattern you can create an interesting pathway that doubles as a fun, permanent place to play for your children. Set them right into your lawn for easy maintenance and further interest. 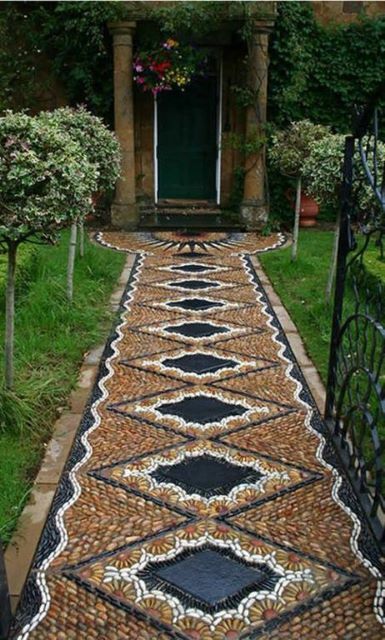 This mosaic of stones provides uniformity and a simplicity to your front walk. 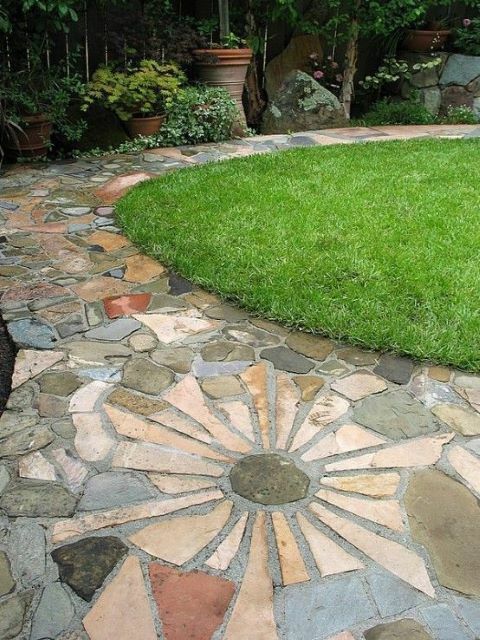 This can be achieved in a variety of ways using larger pieces of flagstone that you break and place back together, or you can even create the effect with concrete etching. These unique stepping stones are well framed by a river rock pathway. 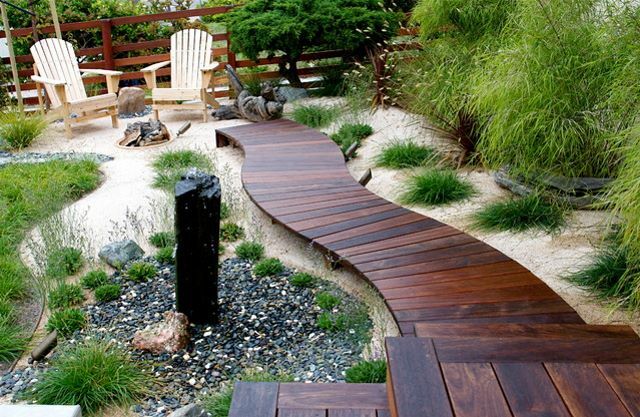 This type of design really can serve a dual purpose and be more than a walkway, but also allow for good boundaries between garden beds and help keep weeds at bay. 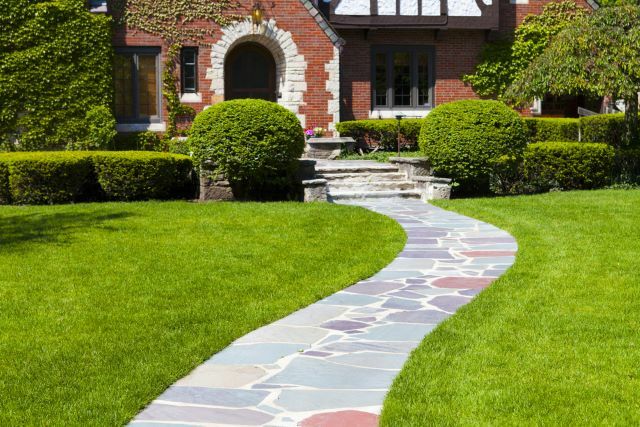 Contrasting stone colors can be bought by the yard. A level sand foundation provides the perfect canvas to create your own designs and keep your ideas in place. Depending on placement using sand to fill in the gaps and then grout often sets the design and keeps it from moving, but concrete can also do the trick. Natural slate is allowed to take on the texture and shape of its natural formation. 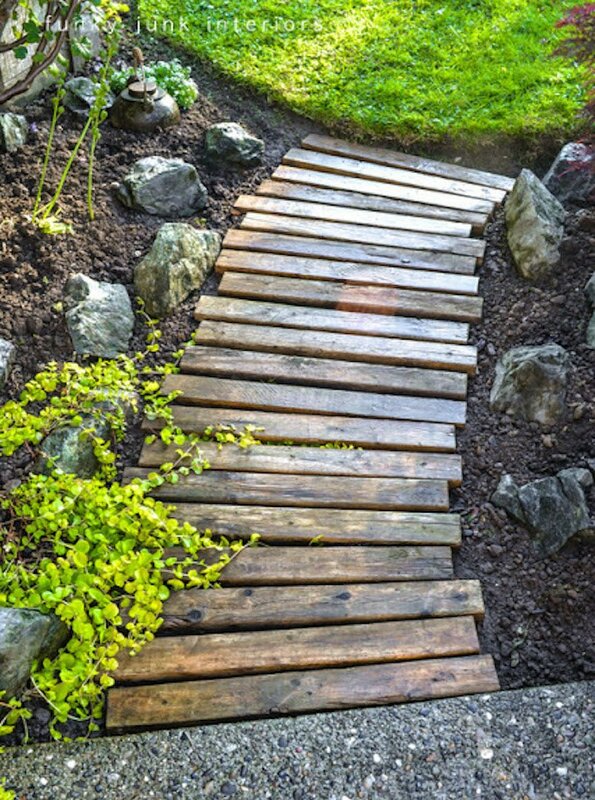 Although it may not call for a completely level walkway, it is a fun way to bring interest to your yard. These stones are set as to suggest they are rising from their grassy surroundings rather than having been placed as such. 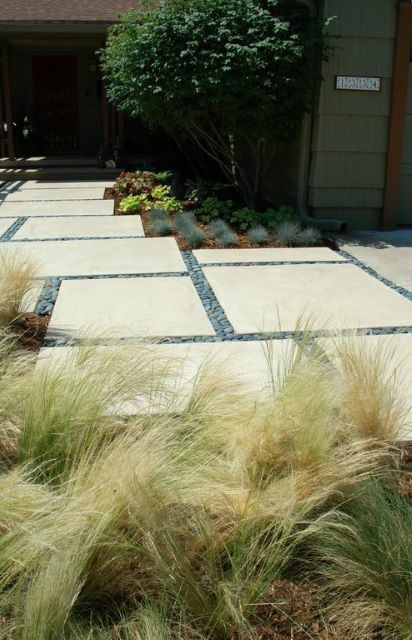 Changing the perspective and way many materials are used can provide an entirely new look to your landscaping design. 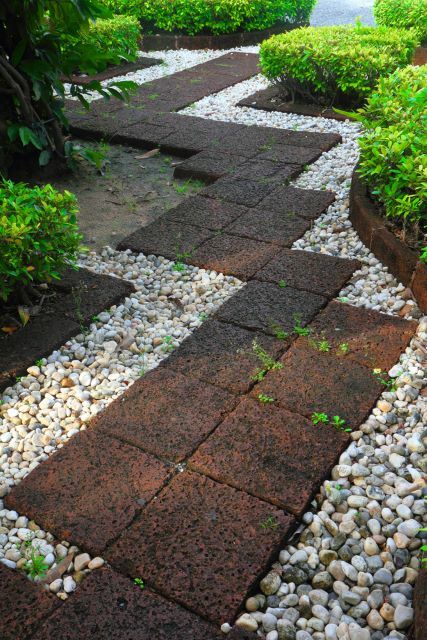 By making the pathway large enough to make it the focal point, the surrounding lawn and garden beds compliment the choices you make in the walkway itself. 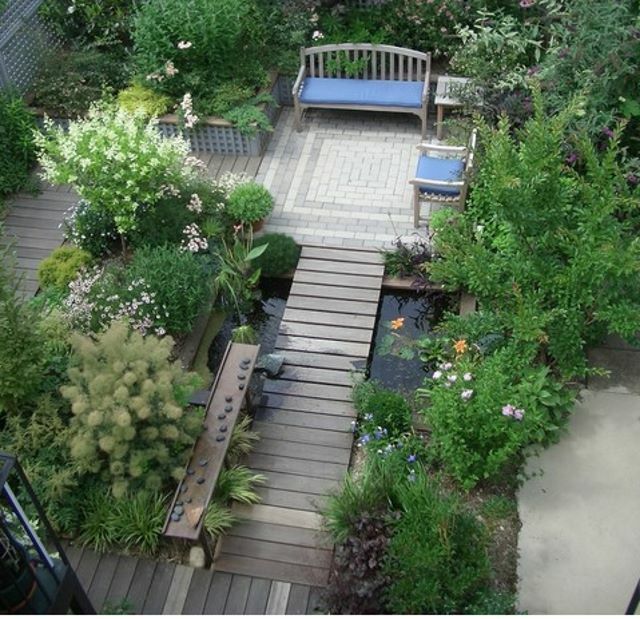 For once let the landscaping reverse roles to provide a large space for entertaining and relaxation. 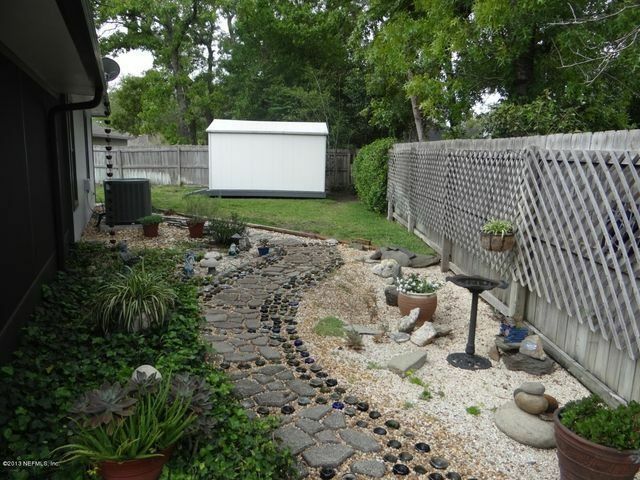 A large amount of detail went into sorting and designing this walkway that doubles as a work of art. 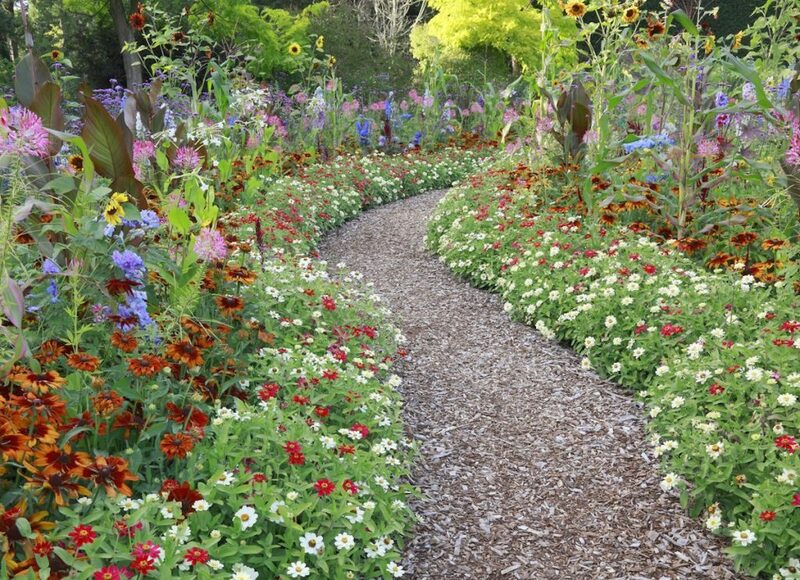 Perfect for a seaside cottage or even within an urban garden, this path will most likely always serve as a topic of conversation. 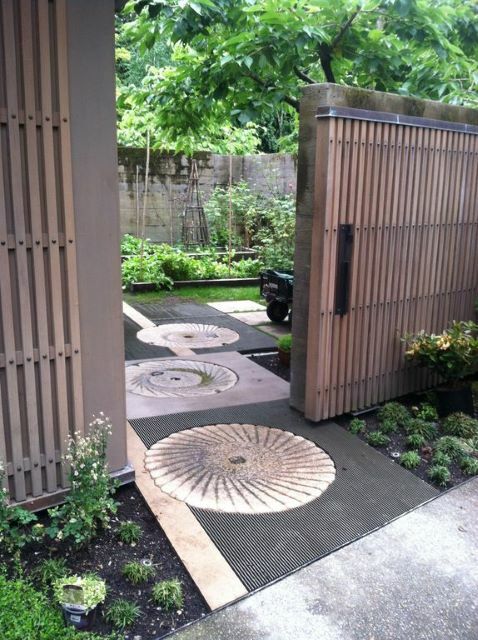 Unexpected shapes and designs stand out amongst the more traditional materials used in this garden sidewalk. 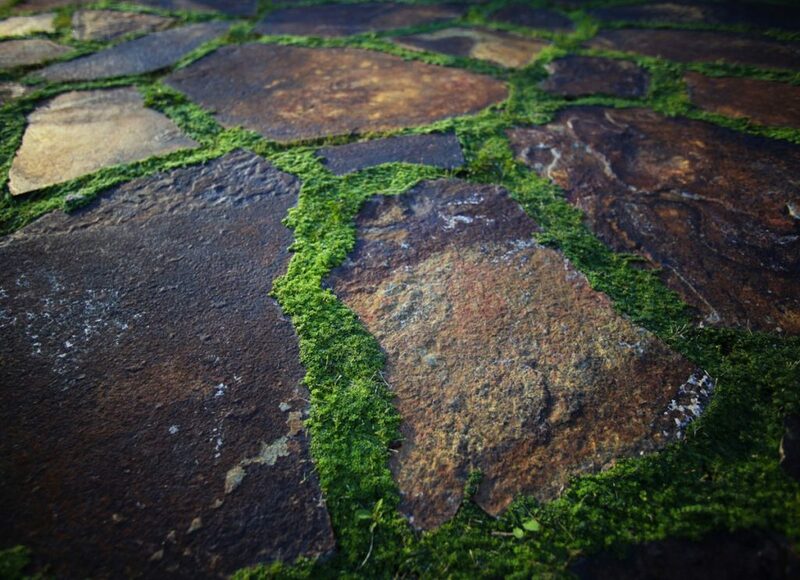 Detailed circular pavers mimic the shapes of the surrounding plants and blooming flowers throughout the growing season. 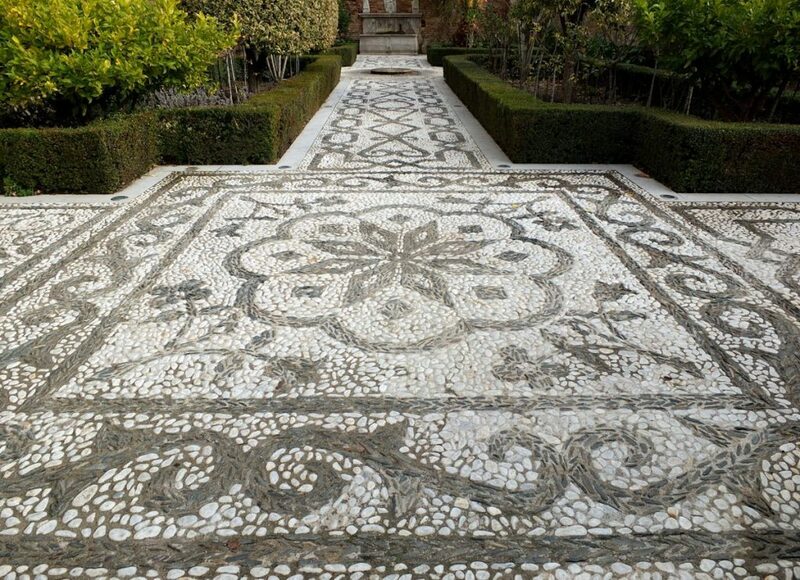 This incredibly detailed path is made up of thousands of small stones that give an impression of a welcoming rug rolled out to invite in visitors. This walk must have taken countless hours to complete but is complementary to the many hours taken in the surrounding gardens to complete the overall look. 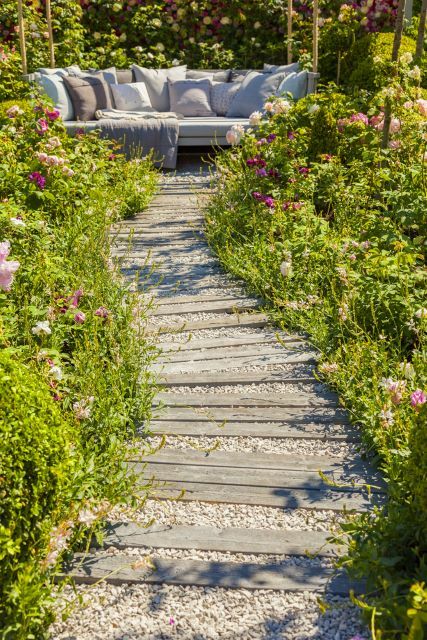 Wildflower beds frame a well-designed pathway interspersed with pebbles and weathered boards. 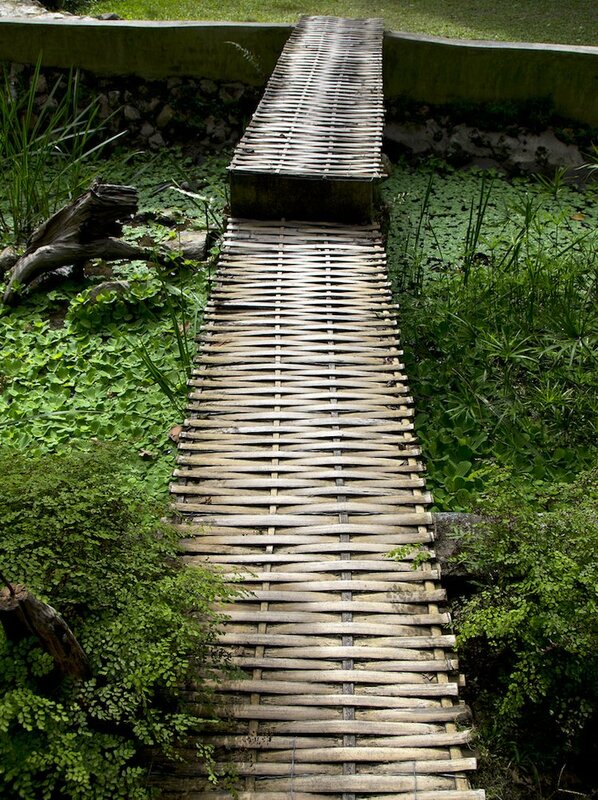 This simple design looks as if it was accidentally uncovered from the tangled vegetation, but provides a leading walkway to a comfortable area to lounge within. Bring the beachfront to your backyard with a carefully designed wooden pier walkway amongst a fine pebbled landscaping with grassy plantings. A pondless waterscape brings the sound of flowing water without the number of upkeep ponds occasionally have. A brick seating area is provided access from a well designed wooden walkway through garden beds and leading over a symmetrical pond. Mixed bricks, greenery, and waterscapes are well framed by the planked paths through this comforting backyard. 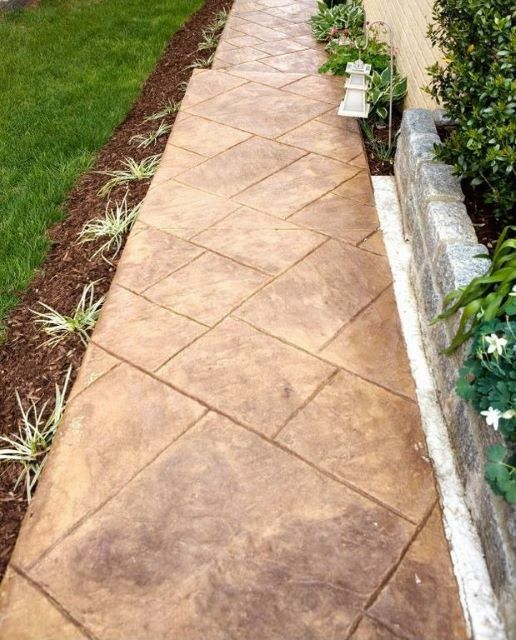 If you are looking for sidewalk/walkway cleaning and pressure washing services, please contact us at 781-447-0022.